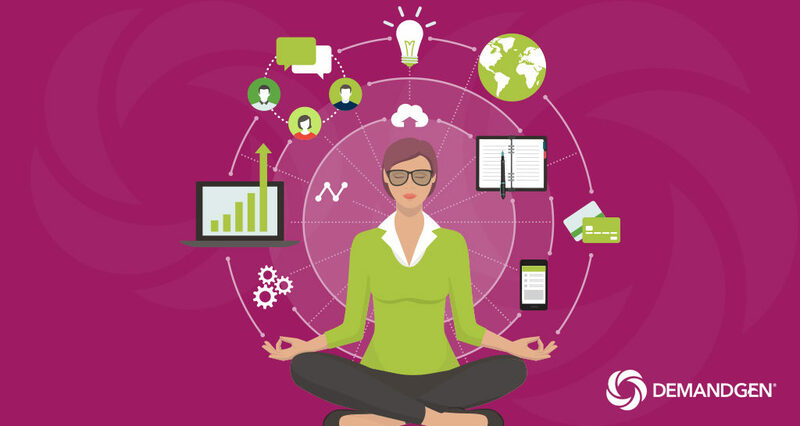 As your business continues to grow — and your contact database along with it — there will come a time when you must bring some order to the chaos in your Marketing Automation platform. Whether that expansion is driven by organic growth, acquisitions, or new market opportunities, your MA platform serves as Grand Central Station for your marketing initiatives. If you house contact data for multiple business units, verticals, and/or regions within your Marketing Automation platform, eventually someone will probably ask you to prevent other users from accessing and marketing to their contacts. There can be many reasons for this kind of request. Sending multiple emails to prospects or clients with conflicting messages can cause confusion, increase opt-outs, and even delay deals — or worse, cause them to implode altogether. Ensuring adherence to countries’ anti-spam laws is also common. 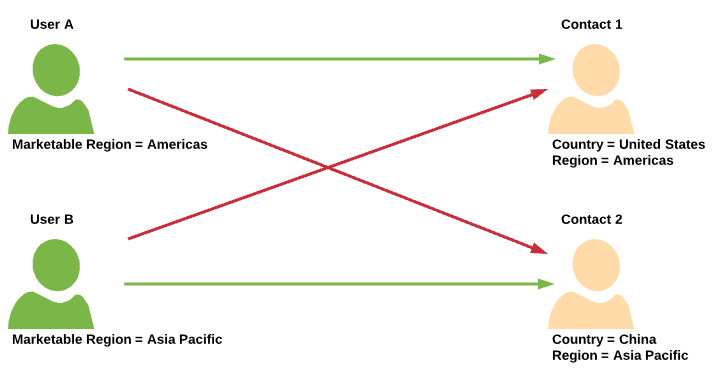 Limiting which contacts a specific user can see requires additional segmentation, typically by country, region, industry, or business unit. The criteria can vary, though, from company to company — and sometimes even within the same organization. If you’re using Eloqua, be sure to capture this unique data point during form submissions and list uploads by making it a required field. Creating both a list upload template and a form template that uses a static set of picklist values will help ensure you always capture the correct value. After you’ve identified how you want to segment your contact data internally, you’ll need to figure out which users fall into each category. Then you can apply a label to these users that only lets them view their contacts. Security labeling eliminates the potential for a user to inadvertently access or send content to a contact that does not fall within their marketable reach. While this guidance applies specifically to Eloqua, Marketo users can also manage their permissions and security settings to limit access to contacts outside of someone’s marketing purview. Creating a lead scoring model that provides Sales with the right leads at the right time is the ultimate goal. Just make sure you build it for scalability across your business units, regions, or whichever criteria you use to segment your contact database internally. To do this, keep profile and engagement scoring criteria the same across all units or regions within your database. This establishes a global model while providing flexibility to individual units or regions in terms of how they want to define their scoring matrix. For example, say an individual contact has a profile score of 75 and an engagement score of 50. In this particular lead scoring model, a profile score of 70 and above sets the profile score to A and an engagement score between 40 and 60 sets the engagement score to 3. This contact would have an A3 lead score. Then, if an individual group needs to customize their lead scoring model, they can adjust their scoring thresholds to accommodate for their unique requirements. Now that you’ve segmented access to your contact data, make it easy for each individual business unit or region to put together brand-compliant marketing campaigns. For the sake of consistency, create email and landing page templates at a global level. Ensure brand compliance by controlling which components users can edit. Different units can then pick up and build from these templates as it makes sense for their product, industry, or region. In addition, make sure any form templates capture the base level of information necessary to process the submission correctly. This includes any unique data points required for contact level security within your database. Creating multiple global asset templates helps to protect your brand while providing flexibility to the different groups within your organization. Managing multiple business units and regions in your database can quickly become hectic without some careful planning and a well-defined data strategy. Need some help getting there? Our DemandGen consultants have years of experience helping marketers get the most out of their Marketing Automation systems, in addition to strengthening lead management and all the processes that go along with it. 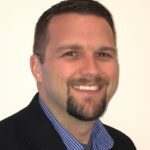 Robbie Whetzel, Solutions Architect with DemandGen, has over 10 years of experience within Marketing Automation with an expertise in Oracle Eloqua. He has helped DemandGen clients solution for and implement lead scoring models, data normalization programs, contact level security configuration, and CRM integrations.